The retail industry is just one of the many reasons why the expectations for 3D printing technology are so high. In this industry, additive manufacturing can change every single step of the supply chain and offers fully customised retail products. There is a large gap between the future of retail and the processes and technology that are currently used. So how can 3D printing live up to the “made to measure” idea of the retail industry? Danit Peleg, one of the most promising fashion designers in ready to wear 3D printing clothes explains in her video that she imagines a future where we’ll travel without any luggage and we will be able to 3D print our clothes directly from the hotel room. This idea is actually a common topic of conversation when talking about the future of retailing and 3D printing. So could we really succeed to revolutionize this industry? What is required to overcome the gap in the current retail industry and this vision? First of all, what is important to understand is, if retailing became dematerialized it implies that the process of the production will also be. 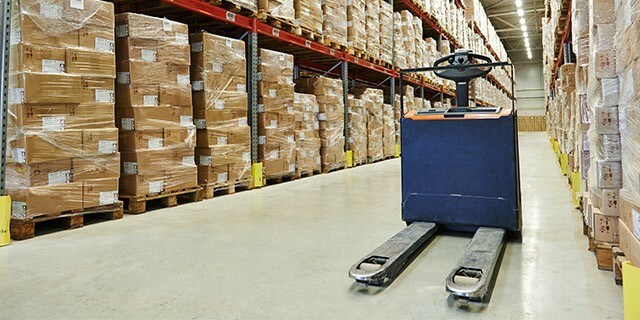 As a quick reminder, the supply chain is usually composed of six main steps: the production of the raw material, the supplier, the manufacturer, the distribution, the retailer, and the customer. The raw material, would no longer be needed at the beginning of the process but instead at the end. The manufacturer will be replace by 3D printers. The retailer, will still be a key player but will certainly need to incorporate 3D printers into the shop. The use of 3D printing in retail is motivated by 3 main reasons. We are going to observe how it has been implemented in 3 important retailers : Leroy Merlin, Staples and Amazon. First, Leroy Merlin, the French leader of hardware stores made an important strategic move with the creation of Fablab inside its stores. It decided to take part of the Maker movement by making accessible 3D printers and soldering iron. The implementation of 3D printing is less a substitution of the traditionnal retailling process than a promotion of a new way to “Do It Yourself”. 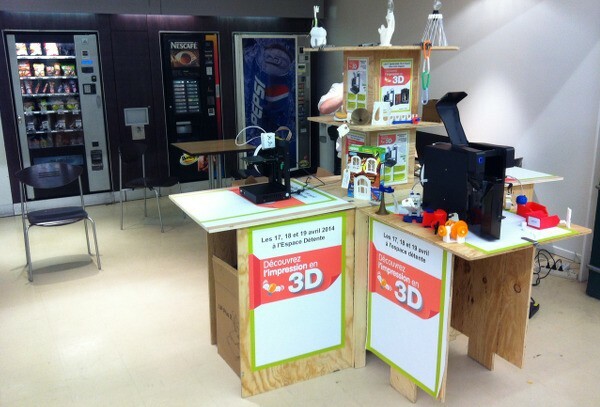 Secondly, Staples is a telltale example of the implementation of 3D printing in retail. They were one of the first to actually sell 3D printers in 2013. Then, they proposed in-store 3D printing services in their New York and Los Angeles stores to allow people to directly print their design in store. Now, their partnership with our online 3D printing service allows anyone to 3D print their files online. 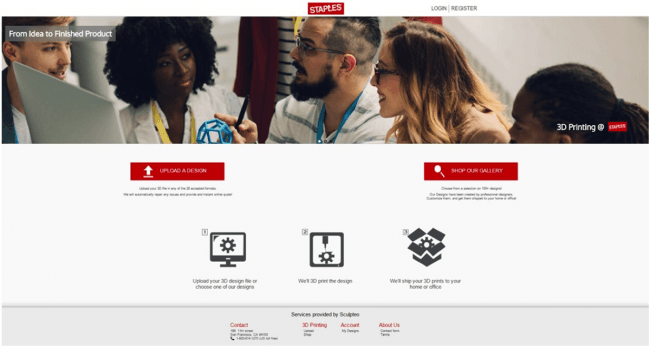 The path that Staples has chosen is very interesting; the way that they are navigating all the paths to implement 3D printing in their retail stores. Probably the most accurate way to figure out which one will be the best to accustom the customer to this new way of consumption. Amazon, the giant retailer integrated 3D printing to its own website by creating a dedicated category, 3D Printed Products store. Today this platform no longer exists. But at first it used to be as a marketplace where you could have found a selection of customizable 3D models and 3D print with online services such as Sculpteo, and which are directly delivered to your front door. Petra Schindler-Carter, director for Amazon Marketplace Sales, said: “The introduction of our 3D Printed Products store suggests the beginnings of a shift in online retail – that manufacturing can be more nimble to provide an immersive customer experience. The idea seems at first sight to be a first step towards the vision of a dematerialised retail. Still, Amazon had to adapt its platform moving from a 3D printing marketplace to a marketplace which sells tools for 3D printing. This reorginization may hint at the difficulties of implemention. 3D printing is explained as the technology that smooths the materialization of your ideas. But when a customer tries to 3D print his project with a personal 3D printer, he realizes that it will take 10 hours to be printed, that layers would be appearing on the final object, differentiating it from a traditional manufactured one, that he will need the help of a 3D Designer to create the 3D file or need some knowledge in CAD software, that he would have to watch the printer to make sure the printing process goes well, and that two prints are hardly ever the same. In order to make the retailing process with personal printers real, all these aspects would have to improve. That is to say incorporating multiple types of materials, including the ability to mix materials while printing a single object. Multi-material printer are starting to get developped but still this way of printing is not yet really spreaded among the 3D printing services and printers. When a consumer not familiar with the technology thinks about the future of 3D printing they often pictures a machine that produces a product with the push of a button. There is a real expectation for 3D printing in retail to provide the ability to print fully functional and active systems that incorporate many modules, such as embedded sensors, batteries, electronics, microelectromechanical systems (MEMS), and others. Then, to fulfill these expectations what does 3D printing need to improve? Amazon’s patent for mobile 3D printer might be an accurate solution to overcome the lack of skills in 3D printing for people who want to 3D print a file. The Amazon mobile 3D printing truck will allow customers to get a quick and responsive solution, and for people who don’t own a 3D printer or don’t know how to use it this is a great option. It appears as a good even a better option to local 3D printing factories or to 3D print your file as it would be delivered right to your doorstep. For customers that still want instantaneousness prints, and that need to receive the direct and final product in hand without any assembly step required, the emergence of multi-material printers which are currently mainly in experimental phasis in laboratories is key. Printers that will be able to 3D print electronic components, plastic components and/or fabric as well would expose the retail industry to new possibilities. 3. The Next Level of Vertical Integration :eliminating the retail experience altogether. The role of stores would be deeply called into question. A store would no more need to have stocks or display stands. Maybe just 3D printers and some samples would be enough. Which suggest the possibility of very mobile stores as pop-up shops that remain in a temporary location for a few hours or weeks. Also, it means that these stores will be more and more digital, with 3D printers, 3D scanners and even digital mirror in order to dematerialized the customer experience. The time dedicaded to create the design will still remain one of the most important parts of the product creation process, but it doesn’t mean the way to think about the design will not evolve. Indeed with the possibility to create open-source design, even the customers can take part to its creation and improve it, customize its aesthetics even if the core product structure is still controlled by the brand. With this possibility, 3D printing in retail can be an amazing means to increase brand loyalty and an effective trigger to the act of purchase (the customer would feel more interested to buy a product in which he invested hiself). The physical product will no longer be the end result and driver of profit margins. Customer experience will matter more than ever. The evolutions of 3D printing, 3D Scanning and retail are extremely linked. 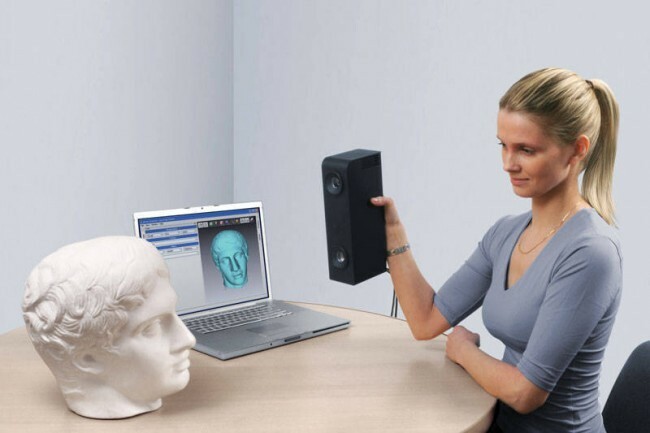 Indeed, 3D scanning will be the bridge to make retail via 3D printing technologies viable. It will help to avoid the difficult step of 3D file creation via CAD software and smooth the user experience. The customer will just have to scan themself, or the part he needs repairs and the 3D model could be generated automatically. 3D printing can be 100 times faster with technology developed as the one by Carbon 3D. At least it is what explain by Joseph Desimone in his Ted talk. https://www.ted.com/talks/joe_desimone_what_if_3d_printing_was_25x_faster This innovation is key to make 3D printing in retail a viable evolution as people expect an almost perfect instantaneousness from the moment they push the button and when they hold their 3D printed product in their hands. 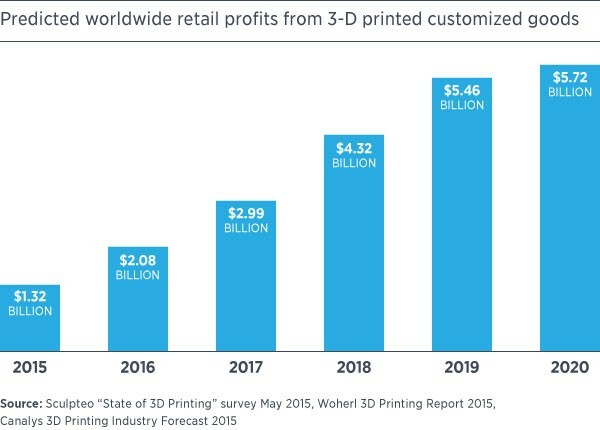 Finally retail is one of the industries that will be the most impacted by 3D printing. Not only will the technology disrupt the way we produce goods, but it will also call into question the way to organize the supply chain, the company structure and the way people consume. When the current R&D innovation will get out of the laboratories, retail will never be the same again and the market of 3D printed customized goods will be 4 times bigger within 5 years according to the forecast of our market study “The state of 3D printing report “! If you’re interested in getting in touch with us for more feedback on your retail project, feel free to contact us or consult our dedicated page.